Angela Chambers is professor of applied languages and director of the Centre for Applied Language Studies in the University of Limerick, Ireland. 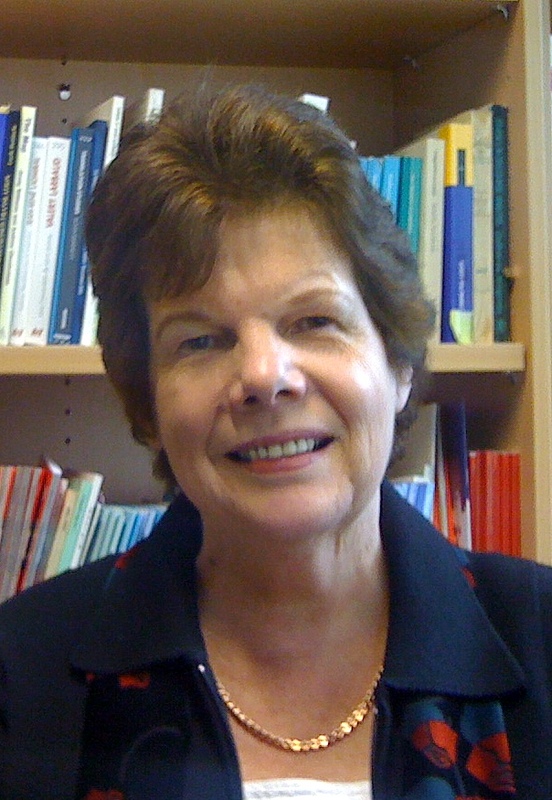 She has co-edited a number of books and published several articles on aspects of language learning, in particular corpora and Computer-Assisted Language Learning. She has created two corpora for use by language learners, of journalistic discourse in French and academic writing in French, both deposited with the Oxford Text Archive. Her current research focuses on the use of corpus data by language learners in the context of academic writing, and on the concept of the pedagogic corpus. Nick Ellis is a Research Scientist in the English Language Institute, Professor of Psychology, Professor of Linguistics, and Associated Faculty at the Centre for the Study of Complex Systems at the University of Michigan. His research interests include language acquisition, cognition, emergentism, corpus linguistics, cognitive linguistics, and psycholinguistics. His research in second language acquisition concerns (1) explicit and implicit language learning and their interface, (2) usage-based acquisition and the probabilistic tuning of the system, (3) vocabulary and phraseology, and (4) learned attention and language transfer. His emergentist research concerns include language as a complex adaptive system, networks analysis of language, scale-free linguistic distributions and robust learning, and computational modeling. Detmar Meurers is a Professor of Computational Linguistics at the University of Tübingen, which he joined in 2008 after eight years as a faculty member at The Ohio State University. His current research involves a range of topics interfacing with linguistic modeling, such as issues in intelligent language tutoring systems (TAGARELA), visual input enhancement of learner-selected web pages (WERTi), information retrieval for language learners, automatic content assessment for reading comprehension questions (SFB833-A4), task-based learner corpora, annotation schemes for learner corpora, corpus annotation error detection (DECCA), the use of corpora for theoretical linguistics, and the interface of syntax and information structure. Joybrato Mukherjee holds the Chair of English Linguistics at Justus Liebig University Giessen. His research interests are in applied linguistics, corpus linguistics, English syntax (with a focus on the lexis-grammar interface), varieties of English (with a focus on South Asian Englishes) and spoken English (focus on intonation). He has published widely in these research areas. He is Principal Investigator in the International Graduate Centre for the Study of Culture (GCSC) at the University of Giessen, funded by the German Excellence Initiative, and coordinator of various externally funded projects. In 2009, he was elected President of Justus Liebig University Giessen. Florence Myles is currently Professor of French Linguistics and Director of the Centre for Research in Linguistics and Language Sciences at Newcastle University, but she will move to the University of Essex to take up a Chair in SLA in September 2011. Her research interests range from theory building in Second Language Acquisition (SLA), the development of morpho-syntax in French and Spanish L2, the interaction between generative and processing constraints in L2 development, the role of age in SLA, to the use of new technologies in SLA research. Together with her colleagues, she has developed large databases of oral learner French and Spanish, available on-line (www.flloc.soton.ac.uk; www.splloc.soton.ac.uk). She is co-author, with R. Mitchell, of the best-selling Second Language Learning Theories. Norbert Schmitt is Professor of Applied Linguistics at the University of Nottingham. He is interested in all aspects of second language vocabulary, including corpus analysis, formulaic language, acquisition, the distinction between explicit and implicit lexical knowledge, and the relationship between vocabulary and reading and listening. He has written five books and over 50 journal articles on various aspects of vocabulary, including a vocabulary research manual Researching Vocabulary (2010 Palgrave Macmillan). He often uses corpus evidence to inform the design of his research materials and believes that corpora are one of the main reasons for the resurgent interest in vocabulary.